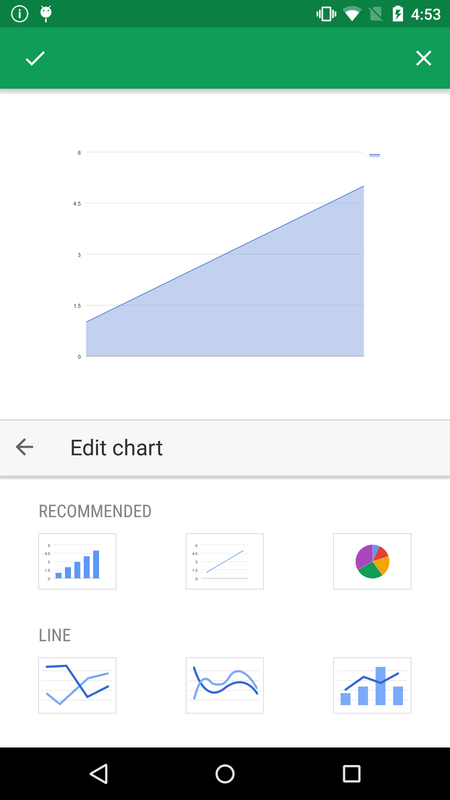 After you've logged into your Google Drive account, create a new sheet by clicking on New and choosing Google Sheets. This will create a new spreadsheet where you can add your data, and then build charts utilizing that data.... It will normally update automatically, but to make sure you can go to Help > About Google Chrome in the menu. The app will check for any new updates and install them. And, of course, if you're using a Chromebook, your browser is already perfect to work with Google Docs offline. In the process of building a Google My Maps map, I found that it's quite handy to import spreadsheets from your Google Drive to use it as a source for your map layers. As using spreadsheets is pretty much the only option to add data to your map, I assumed that the map would update whenever I add new data to the spreadsheet. I just can't find the option to update from the source/spreadsheet... It will normally update automatically, but to make sure you can go to Help > About Google Chrome in the menu. The app will check for any new updates and install them. And, of course, if you're using a Chromebook, your browser is already perfect to work with Google Docs offline. It will normally update automatically, but to make sure you can go to Help > About Google Chrome in the menu. The app will check for any new updates and install them. And, of course, if you're using a Chromebook, your browser is already perfect to work with Google Docs offline.